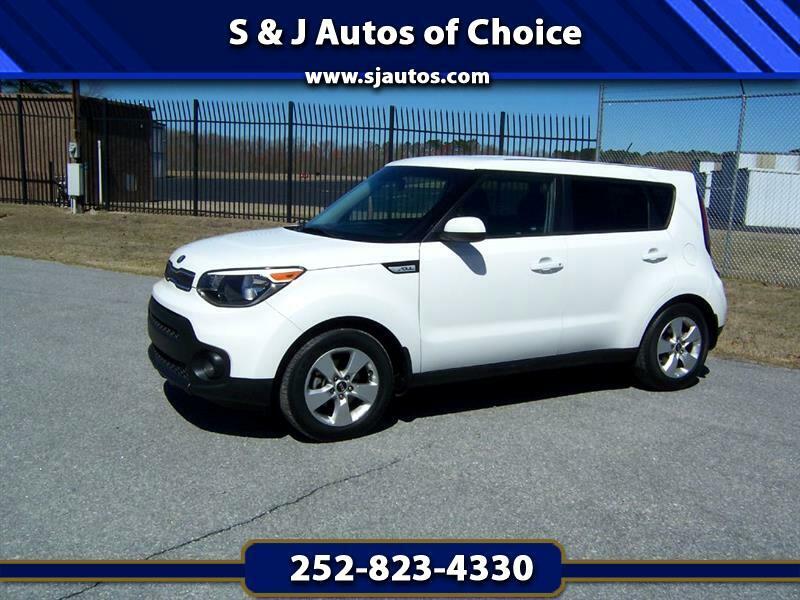 Used 2018 Kia Soul Base 6M for Sale in Tarboro NC 27886 S & J Auto Sales, Inc. This Soul lives up to its name; it does have soul, as well as compelling virtues. It is a compact hatchback with good handling and an efficient cabin layout, and boxy styling. This beauty is a CarFax Certified one owner, accident free, fully serviced and has been well maintained. As S & J Auto Sales Inc. continues to expand and evolve, the one guiding principle that has remained steadfast along the way is the goal of satisfying each and every customer. Since our beginning, and for more than 48 years, our corporate mission statement as remained the same. That is: To make it easy for our guests to purchase an EXTRA NICE product at a fair price, from people devoted to quality service.